Association of Certified Fraud Examiners South African Chapter The South African Chapter of the Association of Certified Fraud Examiners is a recognised South African professional body, representing and governing fraud examination professionals in South Africa. The South African Chapter represents the Association of Certified Fraud Examiners in South Africa, which is the world's largest anti-fraud and white-collar crime organisation and premier provider of training and education in these areas. Our members are committed to reducing white-collar crime worldwide and inspiring public confidence and objectivity within the profession. The Anti-Intimidation and Ethical Practices Forum (AEPF) was created to assist professionals in certain fields who are being intimidated for exposing corruption in the workplace. They also provide advice to potential whistle-blowers in the governance, accounting, auditing, business, risk management and related fields on how to blow the whistle safely, responsibly and effectively. Click here to access the AEPF brochure for more information. 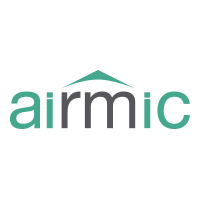 Airmic is the association for risk and insurance professionals, dedicated to shaping the future of the profession and supporting members in their roles. With more than 1,300 members Airmic represents the largest network of corporate risk and insurance professionals in the UK. 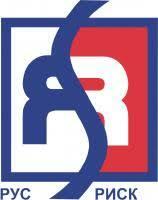 ALARYS is a Foundation dedicated to supporting the growth of Risk Management in the different countries of the world. The idea of a Foundation is concrete when different local risk management associations around Latin America come together to exchange ideas, promote congresses, and strengthen risk management. Alarys promotes congresses, seminars and Certification courses for all those who wish to be certified in the field of Risk Management. CGF is a private company that specialises in professional services related with Corporate Governance, Risk and Compliance (GRC) related matters, catering for all industry sectors, no matter the size of the organisation. Dr. Cruywagen is the founding member and Chairman of the Cruywagen IRMSA Risk Foundation. The main objective of the Foundation is to facilitate student internships for students of the USA and South Africa, on an exchange programme to both countries, to introduce top students to the discipline of Risk Management. The Foundation aims to encourage, host, capture and publish “best in class” studies and seminar papers in the various disciplines of Risk. It also strives to arrange, present and publicise studies into topical and relevant issues regarding the various disciplines of Risk through regular “Risk Laboratories”. The Compliance Institute Southern Africa encourages and promotes professional compliance and sets the standard for leading practice. It is the SAQA-recognised professional body for compliance officers, with members from a range of industries. Our aims and objectives are to: Encourage and promote compliance within the South African regulatory environment, Alert members of new developments in, and changes to, legislation and the interpretation and application of such by the relevant authorities, Promote the professional status, image and credibility of compliance officers, our members, by providing accreditation for compliance officers, Identify, establish, maintain and promote leading compliance standards and practices, Promote education and training in the field of compliance to its members and other stakeholders and Encourage and facilitate forums for the exchange of information and ideas among members / other stakeholders. In many countries across Europe and beyond, National Risk Management Associations are well established. Their members are risk and insurance professionals responsible for risk management in their organisation, whether in the public or private sector. FERMA provides the means of co-ordinating risk management and optimising the impact of these Associations outside of their national boundaries on a European level. The Institute for Futures Research (IFR) started life in 1974 as the long-term arm of the Bureau for Economic Research at Stellenbosch University. In 1984, it was transformed into a stand-alone institute at the University, supported by industry, among others Rupert International. The IFR is the only research institute of its kind in Africa and supports companies by scanning the broad external environment to identify critical issues and emerging trends to help your organisation to pinpoint possible scenarios that could have an impact on your organisation’s future. The IFR’s primary objective is therefore to help the leaders of Africa to develop innovative, long-range decision-making competencies for competitive risk mitigation and opportunity sensing. The International Federation of Risk and Insurance Management Associations (IFRIMA) is the international umbrella organization for risk management associations, representing 20 organizations and over 30 countries around the world. With its roots going back to the 1930s and its development through the discipline of insurance and risk management, IFRIMA is uniquely positioned as a leader in risk management and its application. As an “association of associations”, IFRIMA’s primary objective is to provide a forum for interaction and communications among risk management associations and their members. The Institute of Internal Auditors (IIA Inc.) is the leading professional body representing the interests of internal auditors worldwide. It is the internationally recognised authority, principal educator and acknowledged leader in certification, research and technological guidance for the profession. The Institute is creator and custodian of the International Standards for the Professional Practice of Internal Auditors, and the Code of Ethics to which all members must adhere. A global institute with headquarters in Florida, USA, the IIA Inc. has a network of affiliates serving members in more than 160 countries in the fields of internal auditing, risk management, governance, internal control, IT audit, education, security and management. The IISA is a professional membership institute for the South African Industry. Our vision is to help Create “World Class Skills for a World Class Industry” by promoting skills developments and professional conduct among members engaged in the insurance industry. The Institute of Directors in Southern Africa (IoDSA) supports business leaders and directors in reaching their full potential by ensuring they fully understand the latest governance practices and are empowered to discharge their duties effectively. The IoDSA offers exclusive programmes to develop existing and aspiring directors through thought leadership and providing a platform for peer interaction. We are committed to fostering better directors, better boards and better business in SA. 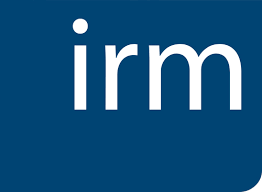 IRM is the leading body for professional Enterprise Risk Management. We help build excellence in risk management to improve the way organisations work. We provide globally recognised qualifications and training, publish research and guidance and set professional standards. IRM members work in many roles, in all industries and across the public, private and not-for-profit sectors across the world. We are independent and not-for-profit. High standards of quality and integrity are vital to the success of the risk profession. Our qualifications, training, events and thought leadership programme are underpinned by our Professional Standards. This defines the knowledge, skills and behaviours todays risk professionals need to meet the demands of an increasingly complex and challenging business environment. 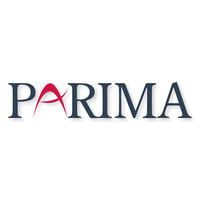 PARIMA is a not for profit professional association dedicated to develop risk management as a profession and provide a platform for Risk and Insurance managers to connect. We aim to strengthen and enhance the culture of risk management by creating opportunities for education and dialogue within the community. In 2011 the Institute of Directors in Southern Africa (IoDSA), The Institute for Internal Auditors in South Africa (IIASA), the South African Institute of Chartered Accountants (SAICA), The Institute of Risk Management South Africa (IRMSA), National Treasury (NT), the Auditor-General South Africa (AGSA) and Development Bank of Southern Africa (DBSA) embarked on a joint effort to constitute a Public Sector Audit Committee Forum (“PSACF” or “the Forum”) to facilitate guidance of and assistance to members of public sector audit committees. The activities of the Forum are funded by National Treasury and the Institute of Directors in Southern Africa act as secretariat for the PSACF. As the preeminent organization dedicated to educating, engaging and advocating for the global risk community, RIMS, the risk management society™, is a not-for-profit organisation representing more than 3,500 corporate, industrial, service, non-profit, charitable and government entities throughout the world. 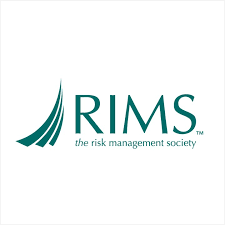 RIMS has a membership of approximately 10,000 risk practitioners who are located in more than 60 countries. Risk Management is the systematic approach to protecting the things that we care about and maximising our chances of success in all fields of endeavour. The Risk Management Institute of Australasia (RMIA) is the professional institution and industry association for Risk Managers in the Asia Pacific region. Members of the RMIA cover every sector of the community and economy. RMIA facilitates linkages between Members and offers continuing professional development opportunities via our annual National Conference, Risk Odyssey Conferences, Best Practice Guides, Special Interest Groups, Chapter networking events and Education programs. 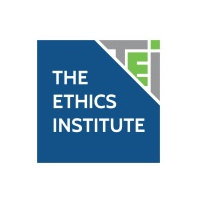 The Ethics Institute is a non-profit, public benefit organisation. It was incorporated in September 1999 and commenced operations in August 2000. The Ethics Institute's vision is to build an ethically responsible society, by forming partnerships with the public and private sectors, and the professions. We serve as a resource through our thought leadership, research, training, support, assessments and certification activities.